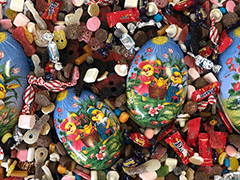 Påskagg – Filled Easter Egg 15cm – Traditional Scandi Easter egg filled with lots of pick and mix. Hedlund Påskägg - Easter Egg Shell, 15cm - Empty Easter egg shell to fill yourself. 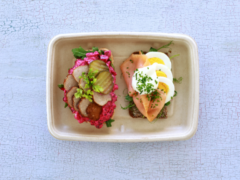 Paskagg – Filled Easter Egg 15cm shell is a beautifully decorated board ‘egg’ shell packed with loads of Scandinavian pick’n’mix goodies. We have chosen the pick’n’mix best sellers, wrapped them in a nice cellophane bag and put them in the traditional egg shell (15 cm – medium size). This egg contains approximately 220-240g of pick’n’mix (content may vary) – a mix of wrapped and unwrapped sweets. 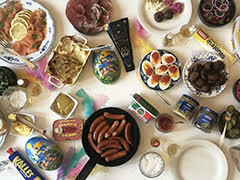 A brilliant alternative to chocolate Easter eggs – and a very traditional Easter gift in Scandinavia.